Bentley Continental GT 6.0 W12 Mulliner Driving Spec 2dr Auto 2019 Review | What Car? The Bentley Continental GT is a fine grand tourer that gets the balance between sports car and luxury car just about spot on. While other options are likely to follow, right now the only engine available is a 6.0-litre W12 which develops a whopping 626bhp. 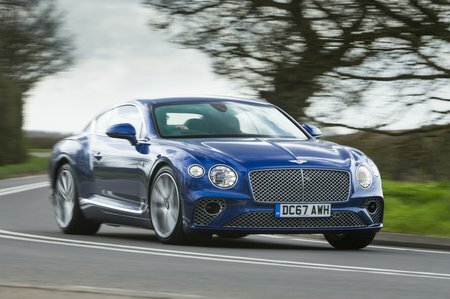 That's enough to get the 2.2-tonne Continental GT from 0-60mph in just 3.6sec and onto a top speed of 207mph.